RE-ENROLL every AUGUST and SELECT INSIDE-OUT as your Charity of Choice. 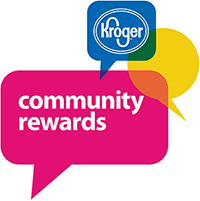 Register your Kroger Rewards card and designate #EK646 Inside-Out Ministries (Madison, AL) as your charity of choice. Then use your Kroger card every time you shop and Kroger will send a donation to Inside-Out based on the total purchases. Kroger makes small changes every year so the updates are necessary. Please do it soon so Inside-Out doesn’t miss any of your valuable support – just for shopping at Kroger!